Ever since texting became a thing, people in the driver’s seat have been looking at their phones instead of the road. This is, of course, not cool. 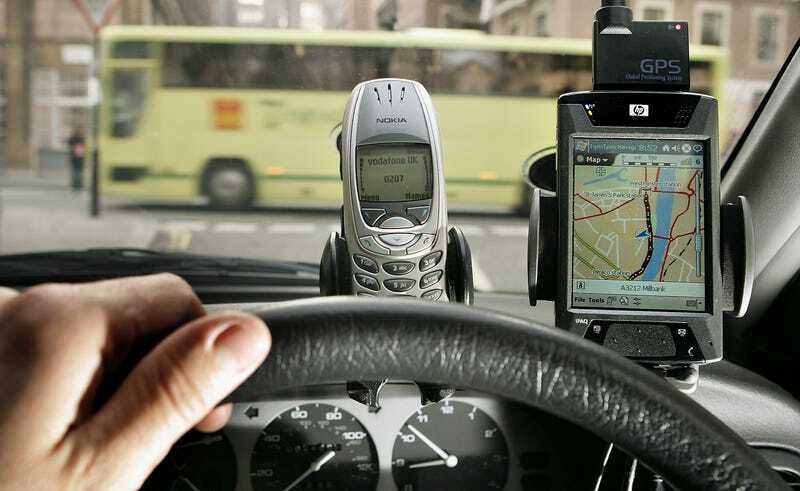 Texting while driving is now illegal in most places. But a new study says that the worst driver distractions come from inside the car. The study, commissioned by AAA, says that drivers take an average of 40 seconds to fiddle around with their navigation, which, if done while moving, is 40 seconds where you are distracted. In second place was texting, while things like making hands-free phone calls and tuning the radio were further down the list. At 25 mph a car can travel the length of four football field during that time. The moral of the story is get your navigation set up before you start driving. But you already knew that. We’ve known for a long time that infotainment systems are just too damn complicated, hopefully studies like these spur automakers into action. Some automakers have already towards safer driving. Twelve of the 30 vehicles lock out the driver from using navigation while driving. AAA also found distraction rates can vary by type of car, since most new cars days come with infotainment systems that have a lot of bells and whistles in addition to navigation. The worst offenders, AAA found, were models they say had “very high” demand on users’ attentions, including cars like the Ford Mustang GT and the Tesla Model S. Others, like the Toyota Corolla, only required “moderate” attention. None of the cars tested required low amounts of driver attention. It’s probably not a coincidence, of course, that pricier cars had more complicated infotainment systems and were more dangerous. You can see AAA’s full list here. This stuff is no joke. According to the Centers for Disease Control, nine people are killed and 1,000 are injured by distracted drivers every day. Anything can distract a driver, from noisy kids to your phone to your own innocent day dreams. Please remember to keep your eyes on the road out there.